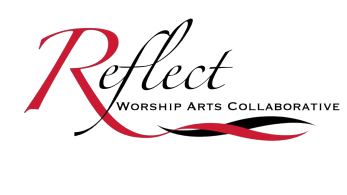 Reflect Worship Arts Collaborative was founded in 2014. The name is derived from 2 Corinthians 3:18 "But we all, with unveiled face, beholding as in a mirror the glory of the Lord, are being transformed into the same image from glory to glory, just as from the Lord, the Spirit." It is our desire to reflect God's love to all people through artistic expression. We also believe that there is power in unity and desire for RWAC to be a place that will include ALL forms of art-a place where artists can learn, grow, and collaborate with Holy Spirit and each other. To minister to the heart of Jesus through the arts. To advance the Kingdom of God by using our gifts and talents for Him through outreaches, celebrations and productions. To give freely of our time to educate and inspire a love of the arts and show people they are valued.